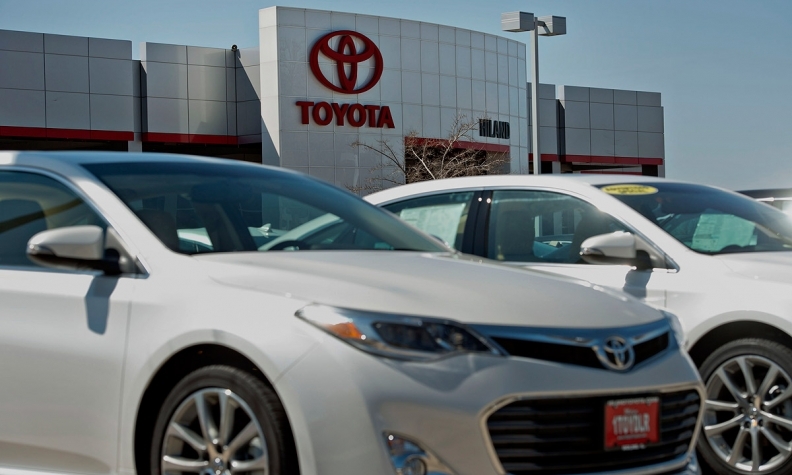 As more shoppers turn to e-commerce as part of buying a car, Toyota Financial Services is turning to its U.S. dealers to find ways to improve its digital offerings. A major push: e-contracting, which Toyota Financial Services launched about two years ago. Currently, more than 70 percent of its loan contracts are done electronically, Groff said. That’s about 1.2 million contracts a year, he said. “E-contracting will really be a requirement” one day, Groff said. So Toyota Financial Services is taking steps to improve its digital offerings. For example, it continues to add forms that dealers might need to go more paperless, Groff said. Groff said all Toyota Financial Service forms now are available in electronic form. The company makes updates and changes to them on a continual basis. The captive lender also is working with its dealers and sales division leaders to find ways that better integrate a customer’s digital experience with his or her dealership experience. Toyota Financial Services is working on a pilot with Scion called the Scion Pure Process Pilot. It allows online users to configure a vehicle, find that vehicle in dealer inventory, research finance and insurance options, estimate payments and apply for credit. Other online features that Toyota Financial Services offers include retail and lease payment estimators, online credit applications that are linked to dealers and to RouteOne/Toyota Financial Services, insurance content and needs-assessment aids, financial education and retention content such as lease-end services.